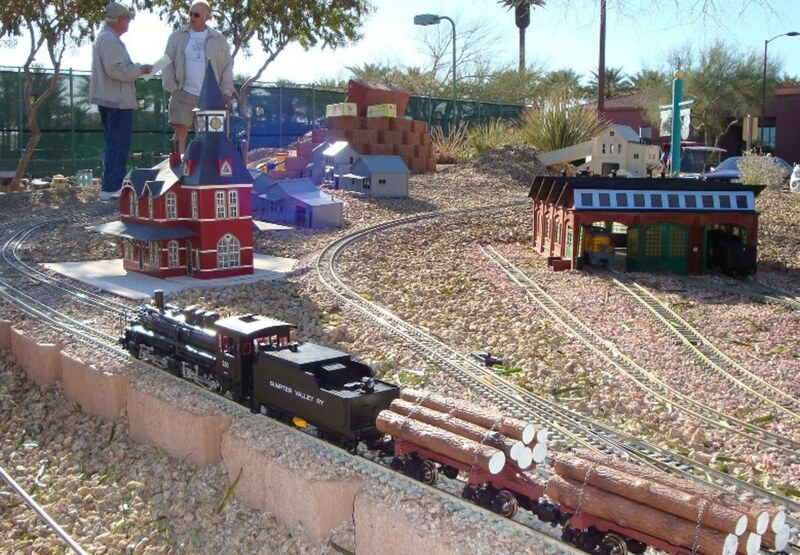 THANK YOU for visiting the Sun City Grand Garden Railroad. This railroad was created in 2004 at great personal expense and countless hours of labor by about ten residents who are part of the SCG Railroad Interest Group. We now have over 30 members. Del Webb/Pulte provided this location for our hobby endeavor and your viewing pleasure. 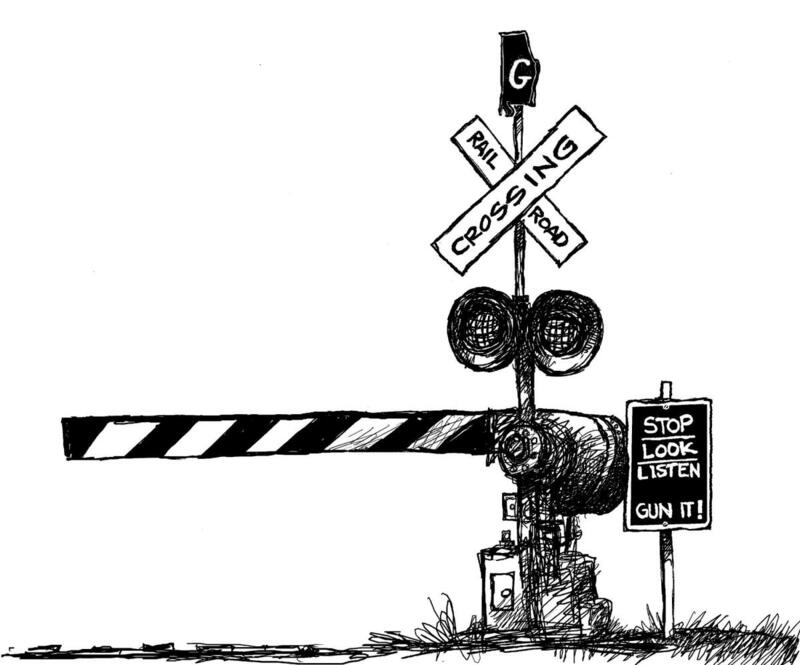 The railroad is permanent. The track is laid on ballast exactly like a full-size railroad. It is totally weatherproof and operated by low voltage electricity. Other than removing debris and periodic cleaning, the rails require minimal maintenance. 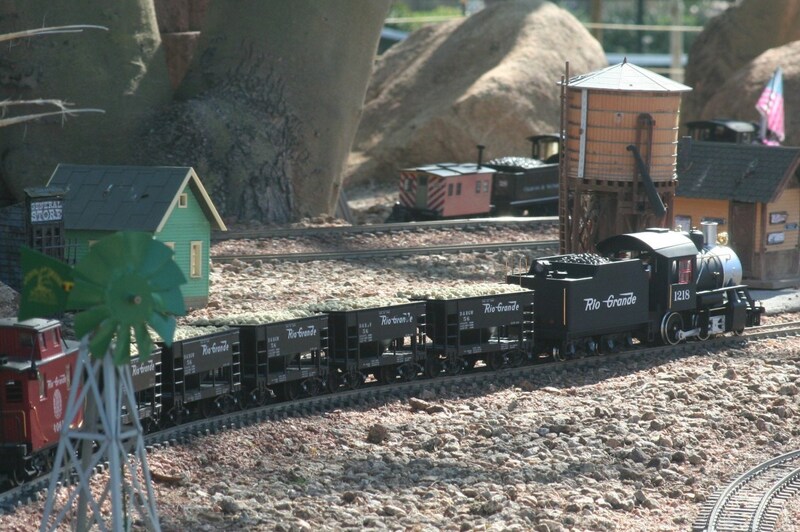 Our trains are referred to as "G" gauge for Garden size. 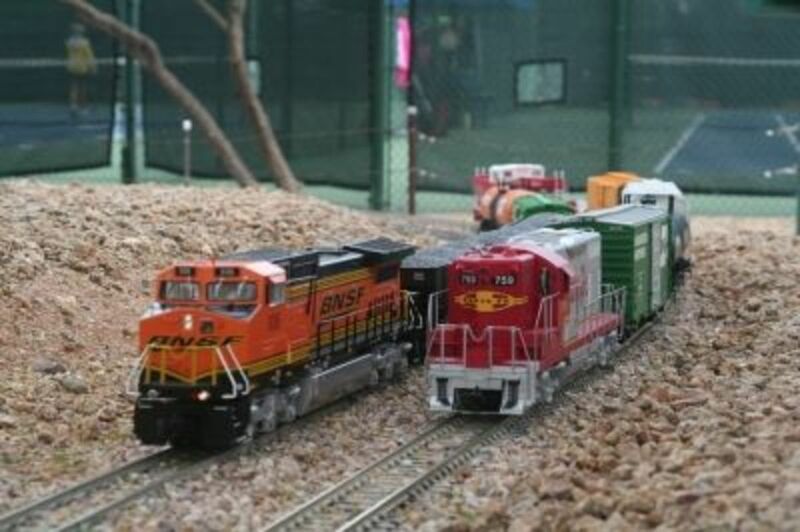 They are about twice as large as O gauge Lionel trains and several times larger than HO gauge. We have over 1,900 feet of track. Any trains you see running here are brought by our members and taken home at the end of the day. They may cost from hundreds to thousands of dollars. A few non-functional inexpensive trains are left out for display purposes. 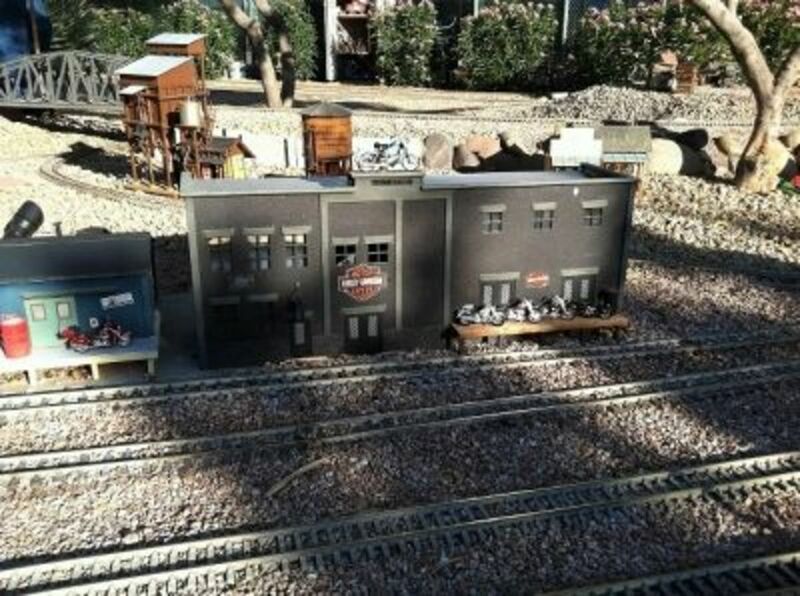 Our model buildings are weatherproof and also remain on the railroad site. Yes, we do worry about theft and vandalism. Thus, we rely on you, our supportive audience to look after our little railroad and report any suspicious activity, especially during nighttime hours. Our Community Garden Railroad is indeed a labor of love. Please remain on the sidewalk since trains, track and model structures are fragile. We also request that you supervise your grandchildren. 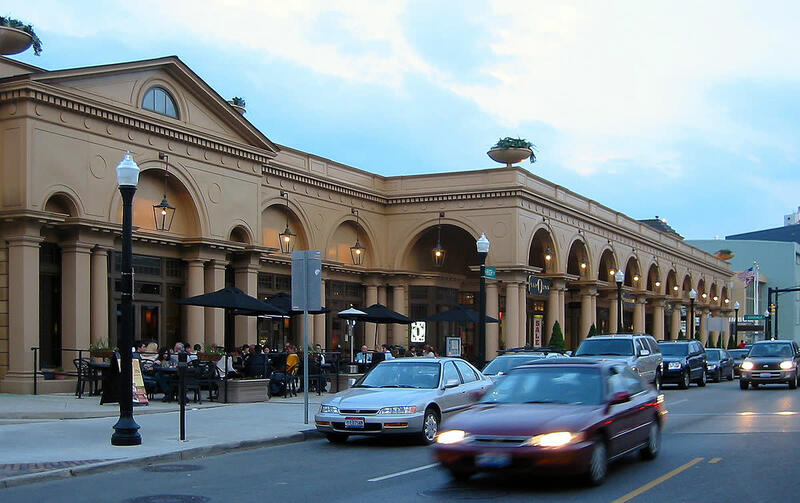 We operate on warm winter afternoons or cool summer mornings. By popular demand, we try to run every Thursday, Friday and possibly Saturday weather permitting. However, we too have spouses, families and other commitments. So, forgive us, if we are not here on these days and enjoy the trains when you do catch them running. First, join in the fun by becoming a member of our railroad. We are primarily a social, friendly group. We welcome beginners. You can purchase your first train for under $250, far cheaper than many hobbies. Second, share your delight with CAM and SCG Community leaders. Perhaps suggest to them that little railroads might even be allowed in our own back yards. 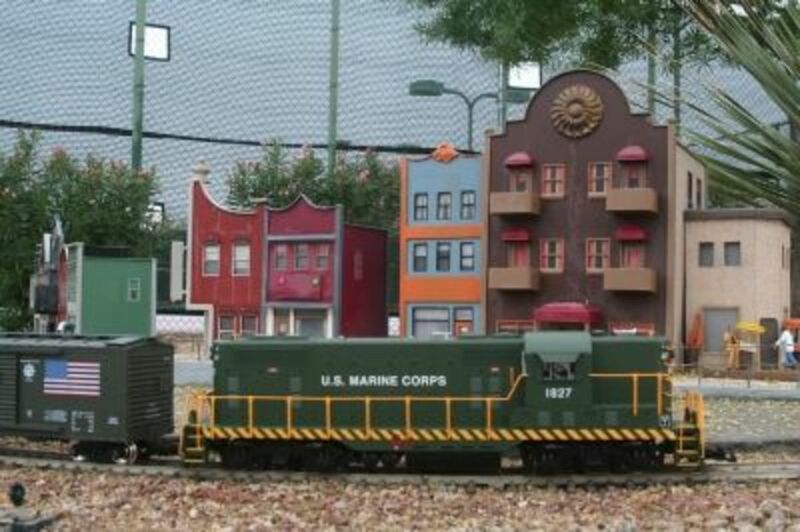 Third, help us grow and improve the railroad by making a cash donation to our "Donation Caboose." We specifically need money to add buildings to create a typical miniature Western town. 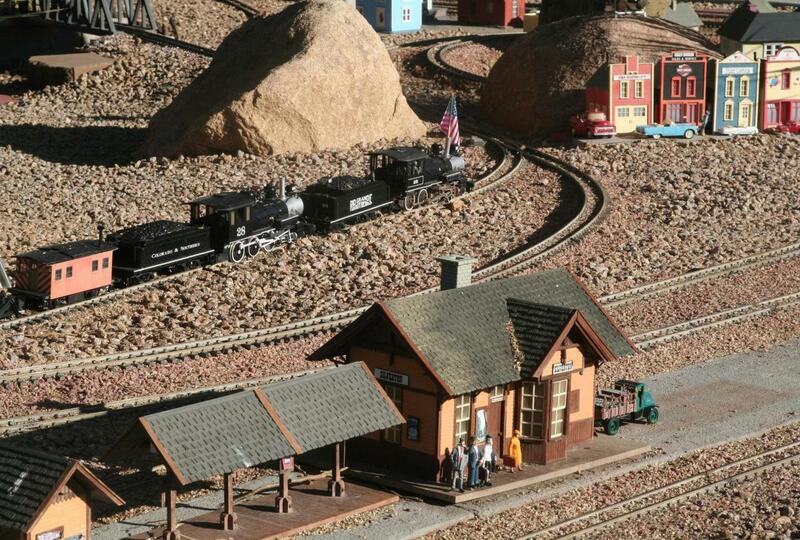 We also want to acquire miniature people, vehicles and farm animals as well as develop seasonal displays. 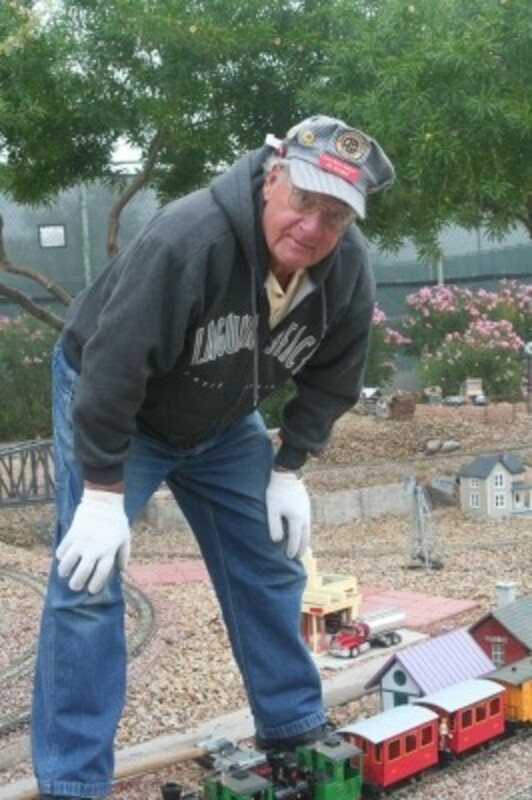 Your support can result in even more enjoyment from your SCG Garden Railroad. Also remember that we provide countless hours of educational entertainment for your visiting grandchildren. Quality childcare in today's world is always expensive! Many thanks to everyone who made my friend, Dennis Sirrine, feel so welcome at the operating session of the Grand Central Railroad. 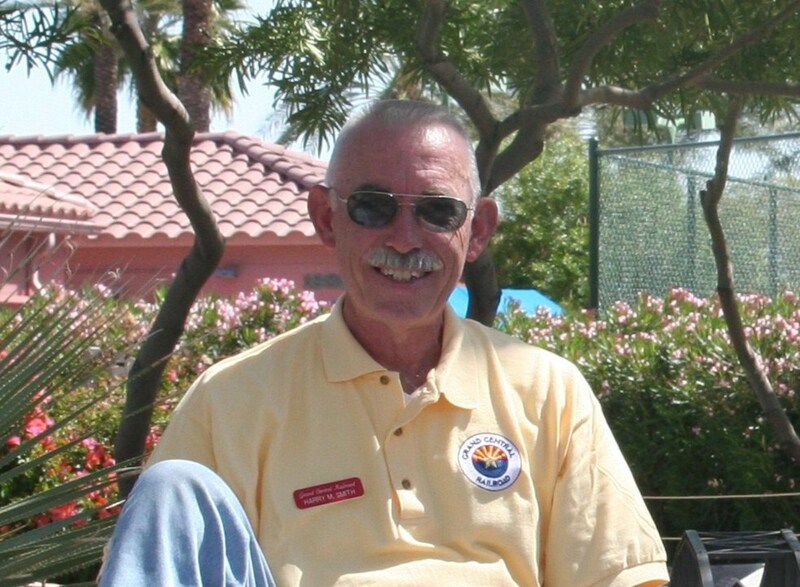 Dennis had a great time, and hopes that you all can come visit him in Mesa in the near future. Again, many thanks to all for the help and warm welcome you provided. (1 each week, check showtimes in your area), and each show has 4 segments, all dealing with TRAINS! 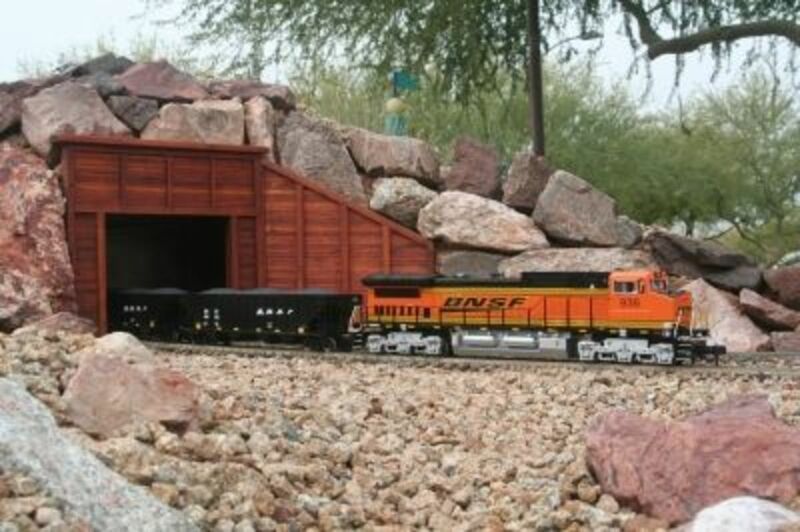 This particular segment on my railroad was shot by "Tracks Ahead" in April of 2008 during the G Scale National Convention which was held in the Phoenix area. I think the segment turned out really nice and I would like to share it with you, 4 months before it airs on PBS. 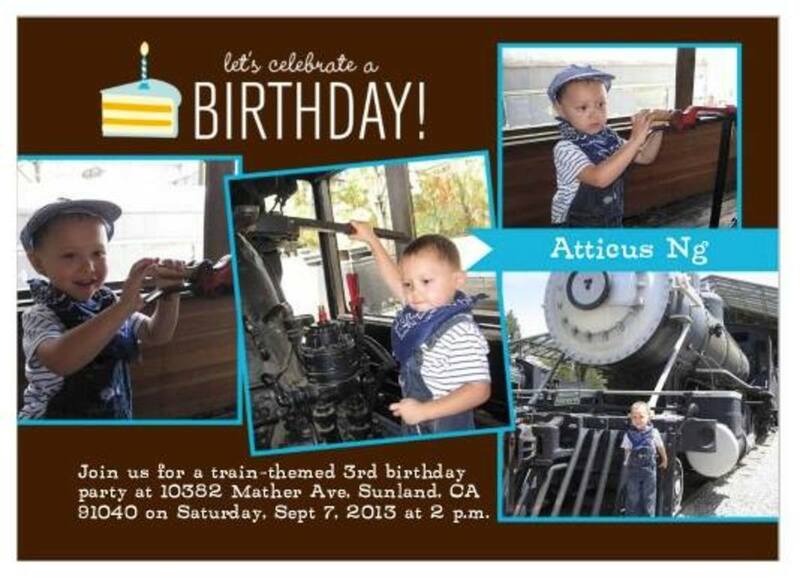 By the way, the young man and three small kids are my son and his three children (my grandkids), and they have a great love for trains just like me. They love to come over and play trains with me! They will probably inherit this wonderful layout when I am long gone. I hope you enjoy this video. If you have any comments about what you see, please feel free to contact me. 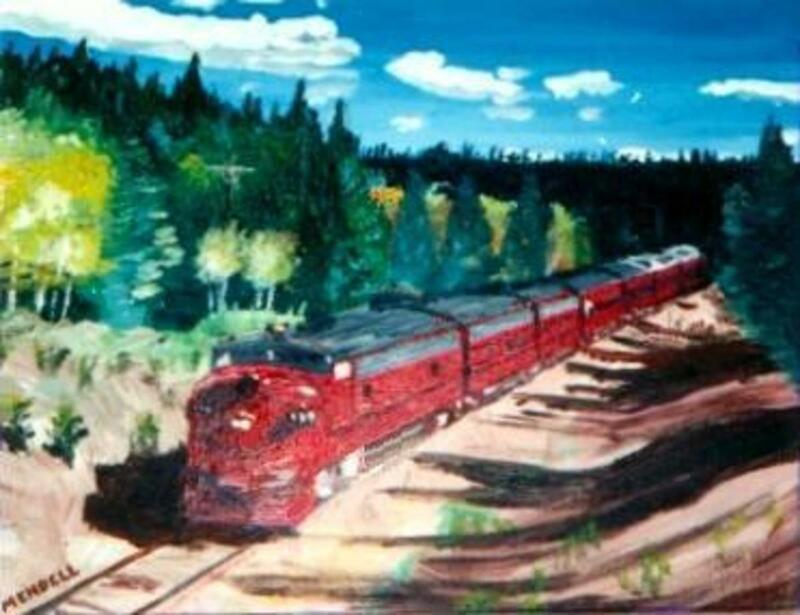 This picture was painted by my Dad (H Mendell Smith) before he passed away in April 2010. And I will send you the attachment file by E-mail. When was the last time you got shivers down your spine to watch a stupid train with a soundtrack. Crank it up if it hasn't happened to you, and watch this again; and I guarantee you will feel alive again! You will see the beauty of green in the states!! Sing along too..it helps with the shivers..Yeah baby!! travling by train! Wooot! At its most basic level, it works just like an indoor railway, including turnouts and turntables. However, special considerations must be taken for everything from sunlight and water to dirt and leaves, and even wildlife. The distance covered also means that electrical resistance in and between sections is much higher, and electrical power will tend to drop off at the far end. To eliminate this, some are rigged to use RC car parts such as rechargeable batteries. Others even use live steam and run as a real steam locomotive would. The steam can be generated from a variety of sources, ranging from messy solid pellet (i.e. methenamine) or sterno-type fuel, through clean-burning butane gas, to prototypical coal burners. 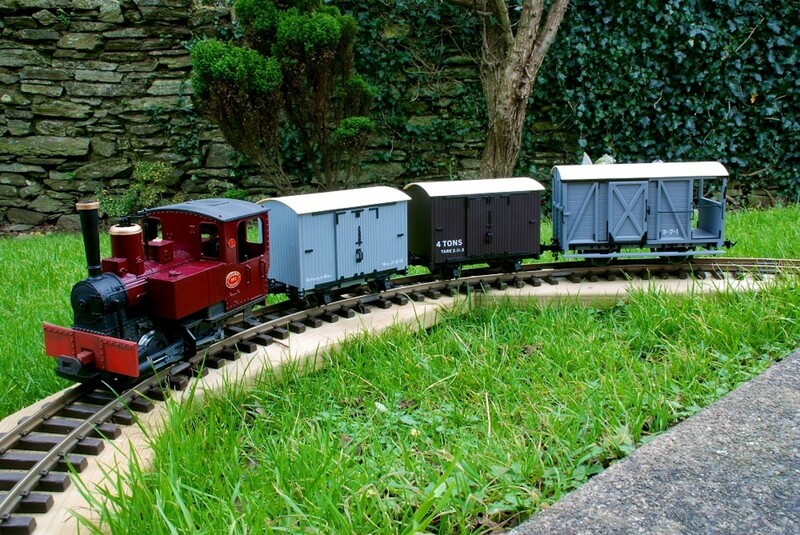 Live steam is particularly widespread amongst 16mm scale garden railway enthusiasts. 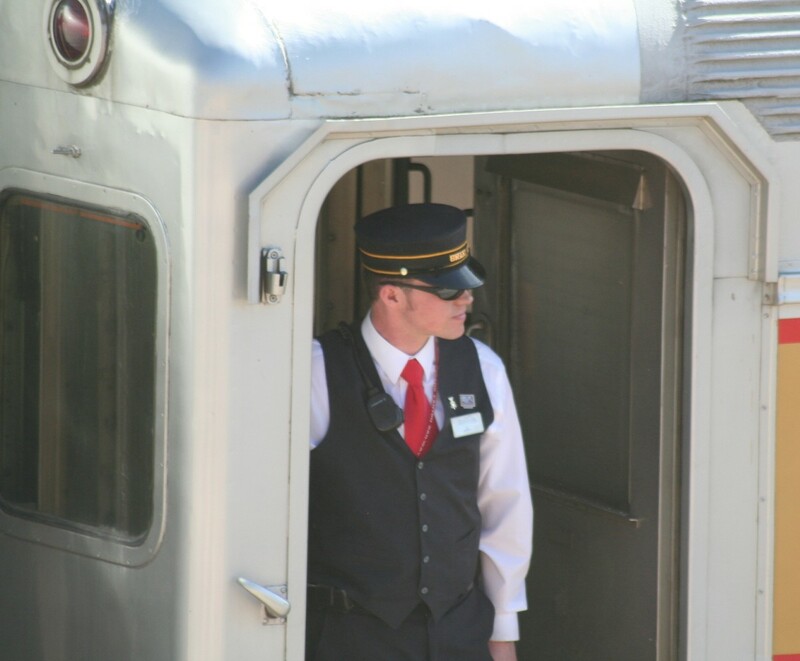 Many also have digital audio on-board, so they sound like a real train. They can also use Digital Command Control or other similar systems, though dirty outdoor track can cause less of a problem with signal than with simple DC power. This is because DCC puts the full voltage on the rails at all times. There are many benefits of DCC when compared to DC analog systems. 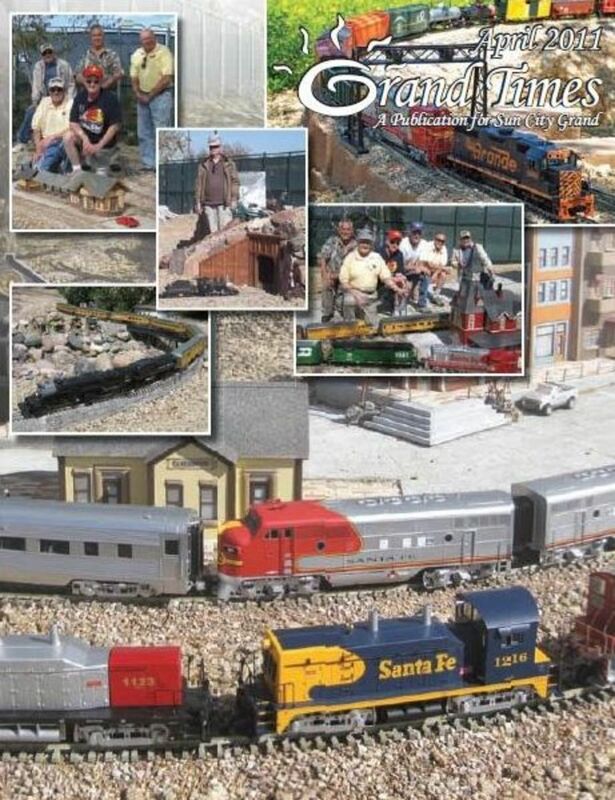 Grand Central Railroad is collecting photographs for the 2011 April Grand Times cover. 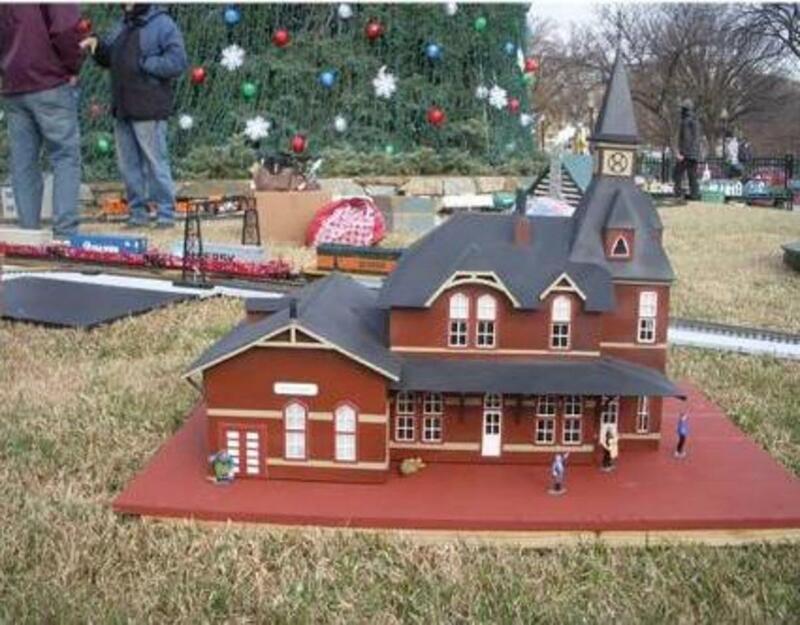 Here are two photos that show some of the new buildings on the north side of the layout. In this photo you can see the new passenger station; in the background you can also see the coaling tower that George built from scratch, and the water tower purchased from Eaglewings. The water tower was painted by George and Bob. The train in the foreground is Jim Miller's "Sumpter Valley Ry 2662 Mallet" passing the new railroad station with 10 logging cars. 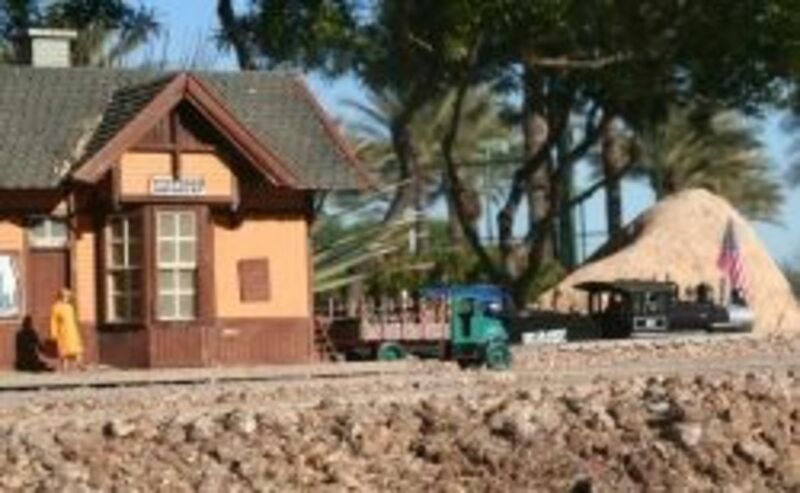 The picture below shows the new passenger station set in place; you can also see the engine house donated by Ron Underwood and the new houses that were recently purchased. AS you can see, the North side of the new layout is developing nicely. 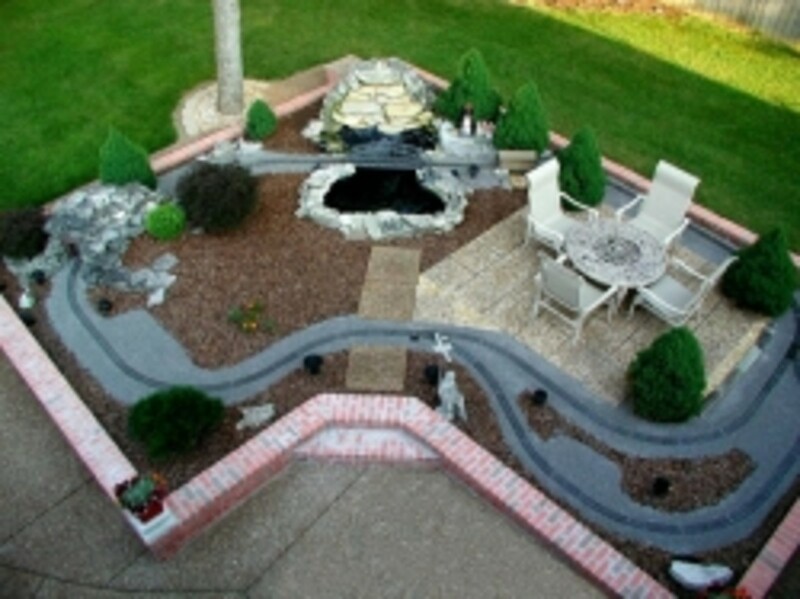 Buildings are also often used in a garden railway, though they too must be constructed to withstand the weather. Train stations and freight depots are popular, some even building whole towns trackside. The loco shed is a common place to store a locomotive (or the whole train) when not in use. Other geographic features are used, such as a small pond to represent a lake, rocks for boulders, or tunnels through "mountains" or under stairways. Tunnels can be a particular challenge, because everything from cats to raccoons and more like to hide in them, particularly to get out of the rain or heat, sometimes even to sleep, nest, or hibernate. A derailment inside a tunnel can also be permanent if careful planning is not done to ensure that it can be reached by access panels (trapdoors) or at arm's length from either end. A frequent theme is the railway in an idealised urban or rural environment, so it is often found in the context of a model village. Some Garden Railways work opposite to the model village style and opt more for a railway in the garden, where the railways runs amongst normal plants, not in scale with the railway. These sort of railway designs allow for large scale planting and many gardeners have the railway as a secondary hobby to gardening. 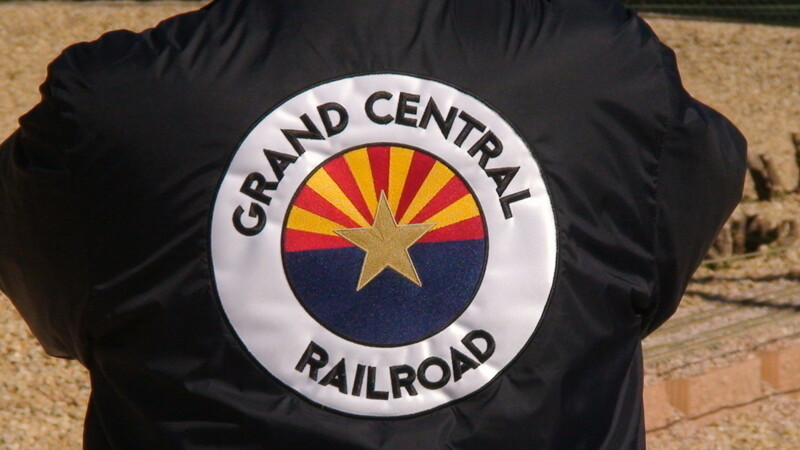 Thank you for your interest in the Grand Central Railroad. 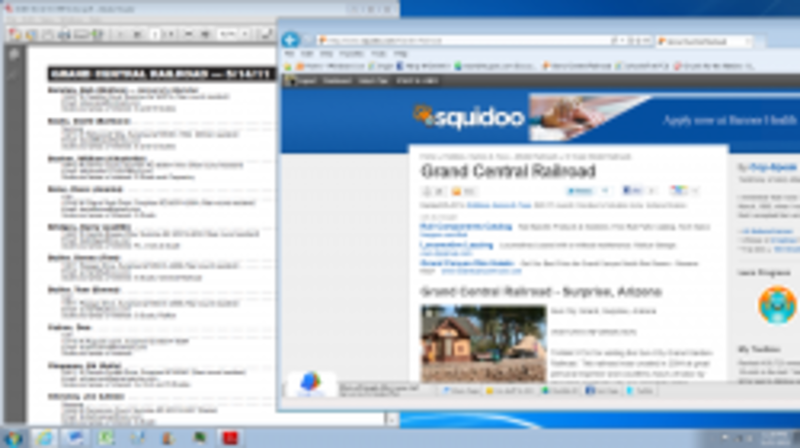 We encourage you to join, run trains and socialize with others who share your interest. Here is some important information for you to understand and accept before joining our group. 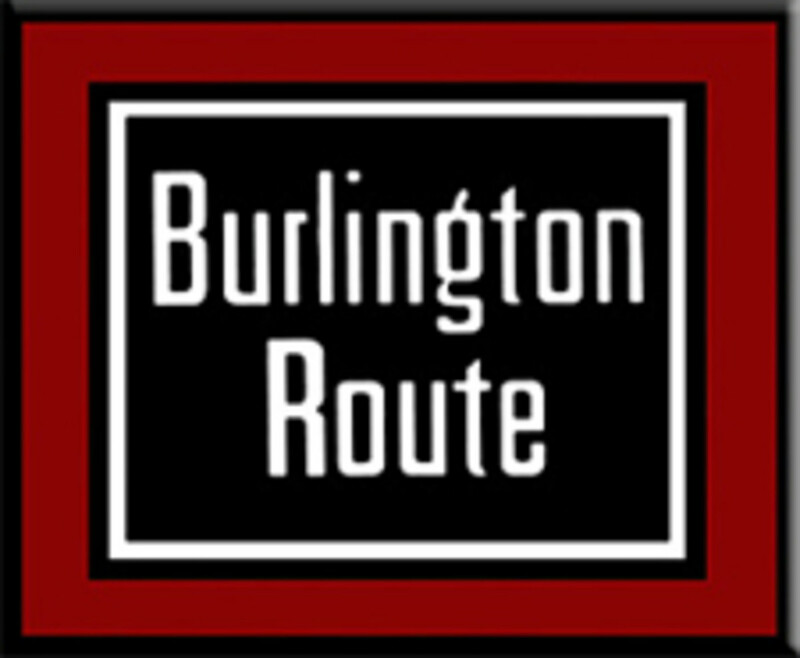 HISTORY -- This railroad was started inb December 2003 primarily through the efforts and donations of the three founding members. A number of other individuals also provided contributions, labor, encouragement and moral support for this venture. A considerable amount of work, great personal expense and much organizational planning time went into obtaining our site from Del Webb/Pulte, establishing the basic loop system and creating this group. 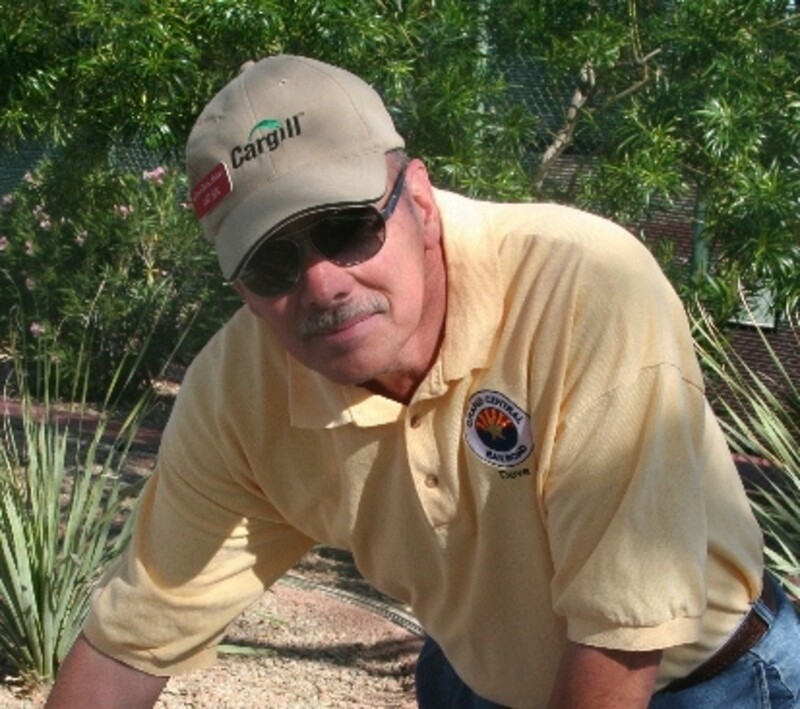 AFFILIATION -- We are a Sun City Grand Interest Group recognized by CAM (COMMUNITY ASSOCIATION MANAGEMENT) and bound to a legal agreement with CAM under which we occupy our railroad site. 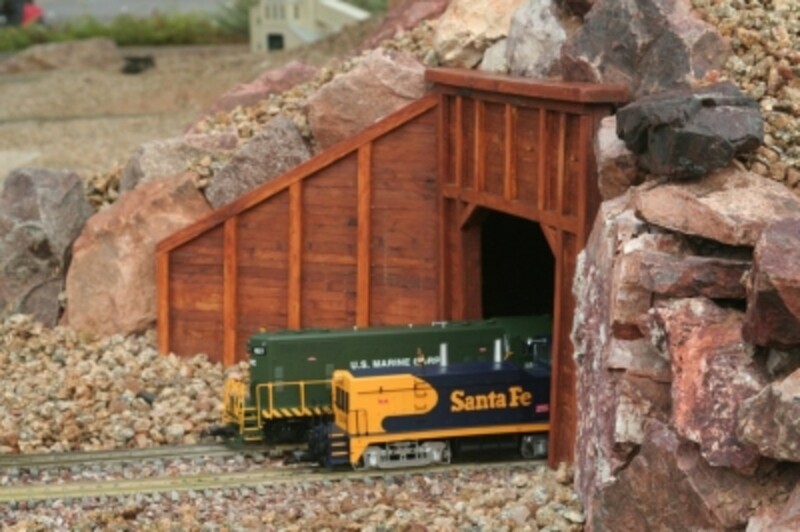 PURPOSE -- It is our goal to provide an interesting, large layout on which members can run their own G scale trains as well as work on track and scenery projects. 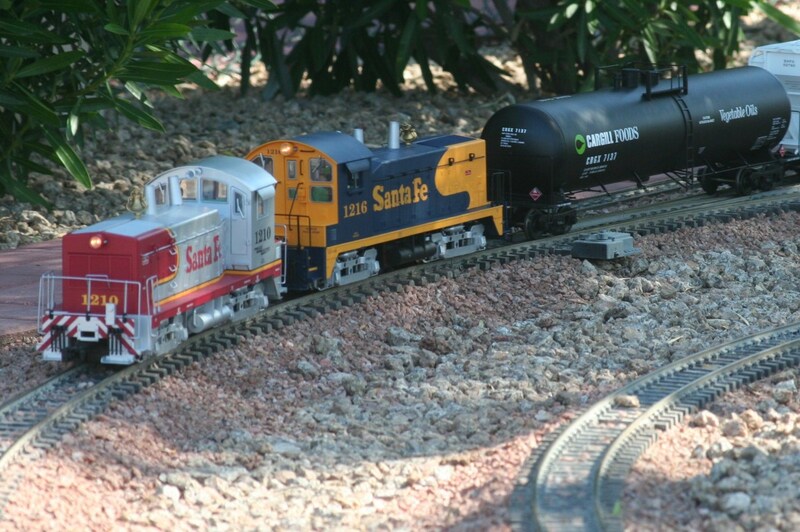 We also desire to enable Sun City Grand residents and their visitors to view garden railroading not only during seasonal holiday displays, but throughout the entire year. I always wondered what it would be like to ride in one of the toy trains. So I decided to design a flatcar for my Garden train that would transport a Sony Digital Camcorder. 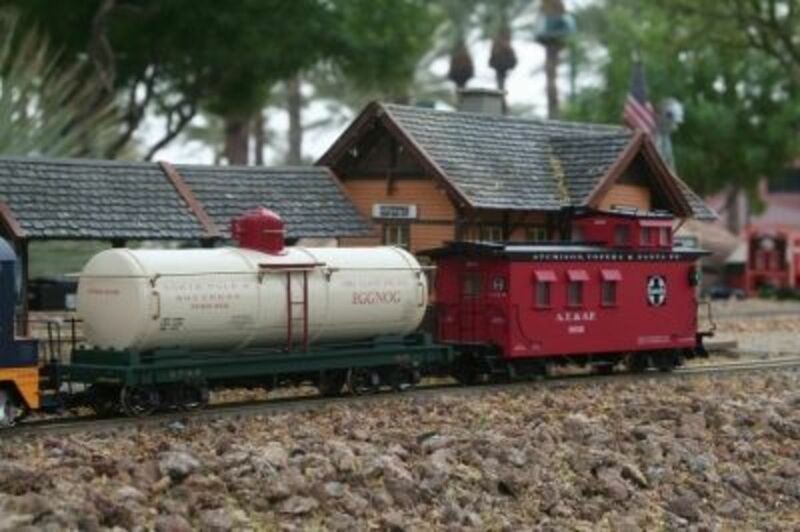 The result is a video of "Track number two" at the Sun City Grand Garden Railroad Club. Enjoy the ride! The dimensions of the model are 2'10" long x 2'3" wide x 2'8" tall. 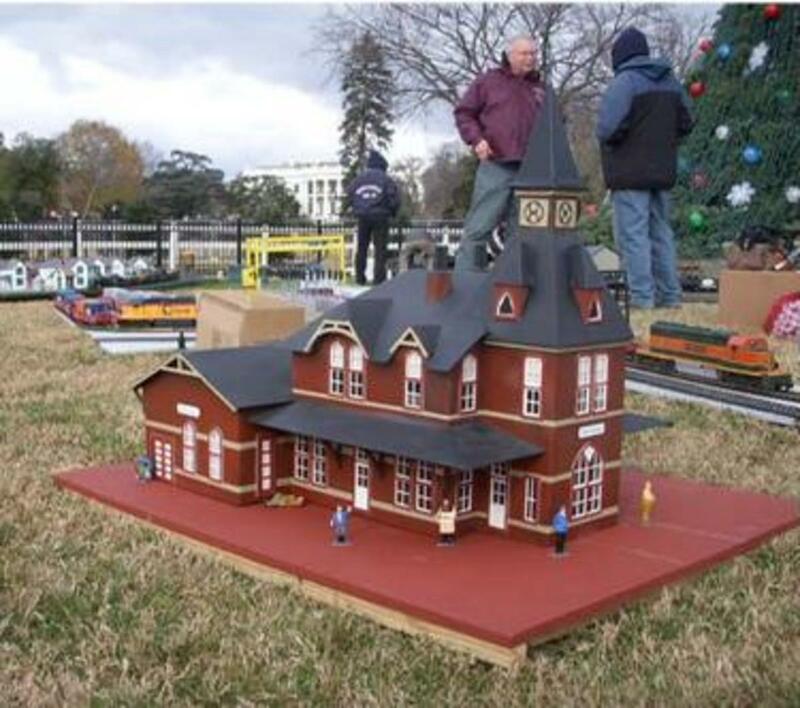 Dave Bone said, "Attached is a picture of the train station model Eaglewings built for the 2010 White House Christmas tree layout. 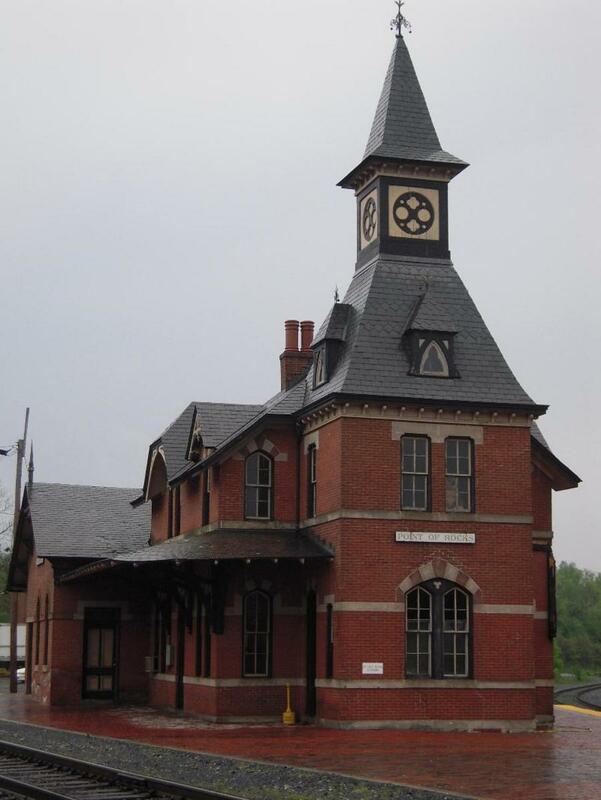 The second photo is of the real station located in the state of Maryland. The dimensions of the model are 2'10" long x 2'3" wide x 2'8" tall." Tom Butler said, "The prototype is the station at Point of Rocks, a junction on the Baltimore and Ohio, west of The Washington, DC area. When I lived in the DC area back in the '70's, I visited the site several times. The area is very picturesque." Point of Rocks is a passenger station stop on the MARC Brunswick Line. 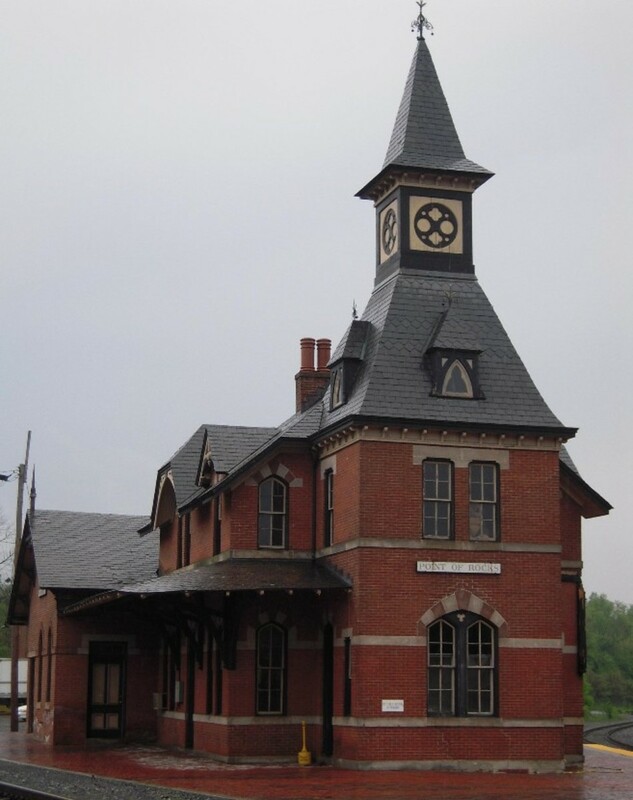 The station, designed by E. Francis Baldwin, was built by the Baltimore and Ohio (B&O) Railroad and completed in 1876. Marking the junction between CSX's Metropolitan Subdivision (the current main line) and the Old Main Line Subdivision, it remains one of the former B&O's signature landmarks, and is a popular subject of railroad photography. Eaglewings Iron Craft has recreated this magnificent building in a limited edition of 100, in 1/24th scale. The replica measures 34 inches by 25 inches by 31 inches tall. 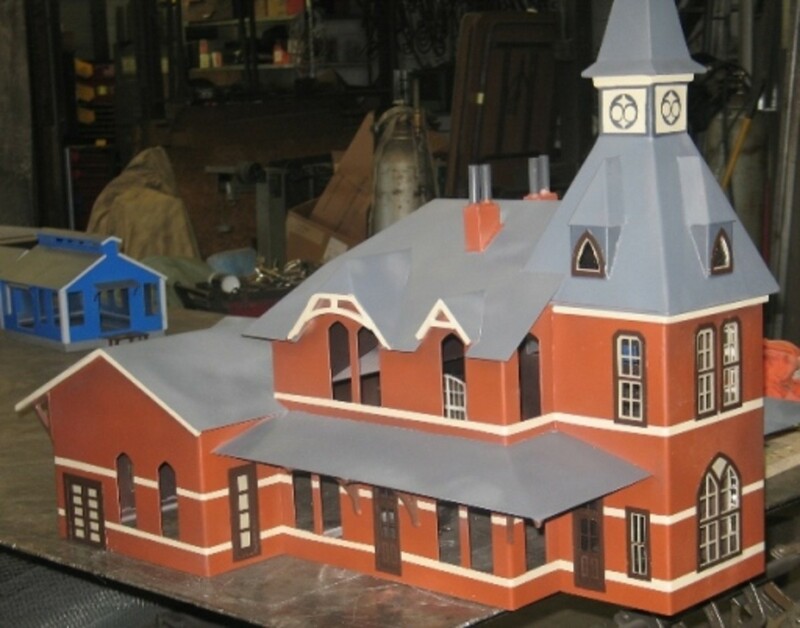 Each building will be numbered, and a certificate of authenticity will be provided with each sale; the buyer receives the benefit of a truly magnificent recreation of the Point of Rocks Train Station, and Eaglewings Iron Craft's commitment to quality. It wasn’t the cowboys and it wasn’t the cavalry, but the iron horse that finally conquered the West’s great wilderness. 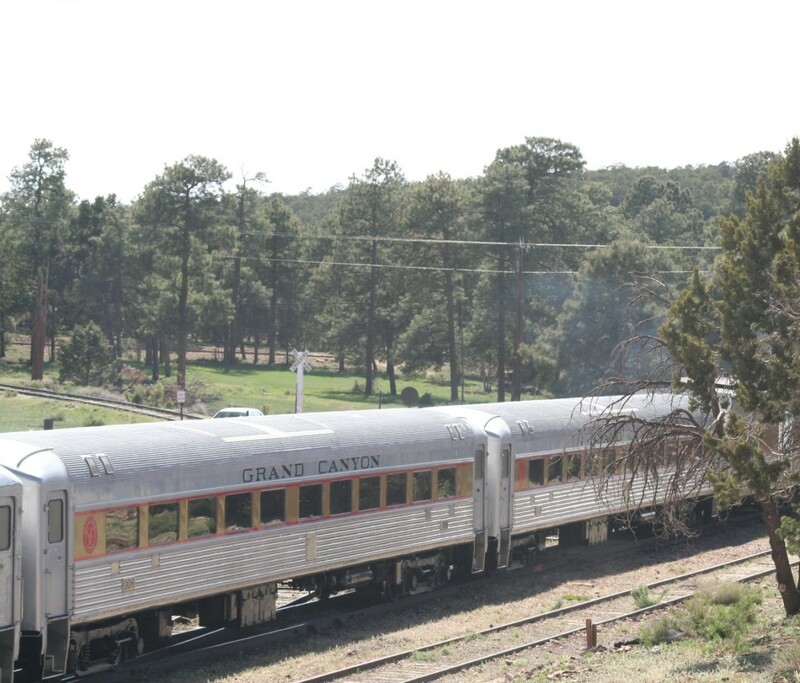 And there’s no better example of hidden treasures revealed by the locomotive’s journey west than the Grand Canyon. 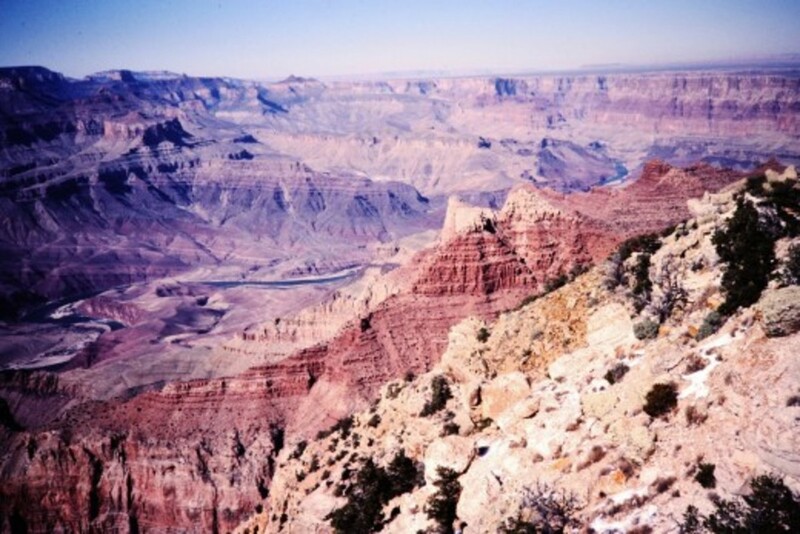 While the canyon’s potential was realized as early as the 1880s, the journey at the time was difficult to say the least. The remoteness of the area would have sealed its fate as merely a very deep hole in the earth marked on a map, had it not been for William Owen “Buckey” O’Niell and his grand visions of a railroad to the canyon. O’Neill, who was mayor of Prescott at the time, owned several mineral claims and had built a substantial cabin on the South Rim of the Grand Canyon. But while he’d found his wealth, he wasn’t able to unlock it from the canyon due to the high cost of transporting the ore. A man of action, he lobbied for nearly five years before securing the funding for the Railway. 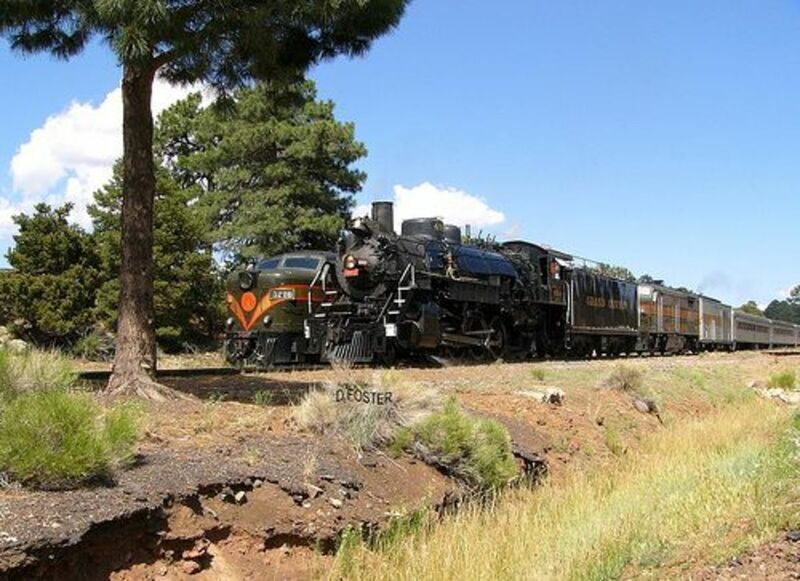 On September 17, 1901, O’Neill’s vision became a reality when the first steam train took passengers and supplies from Williams, Arizona, to the South Rim of the Grand Canyon. 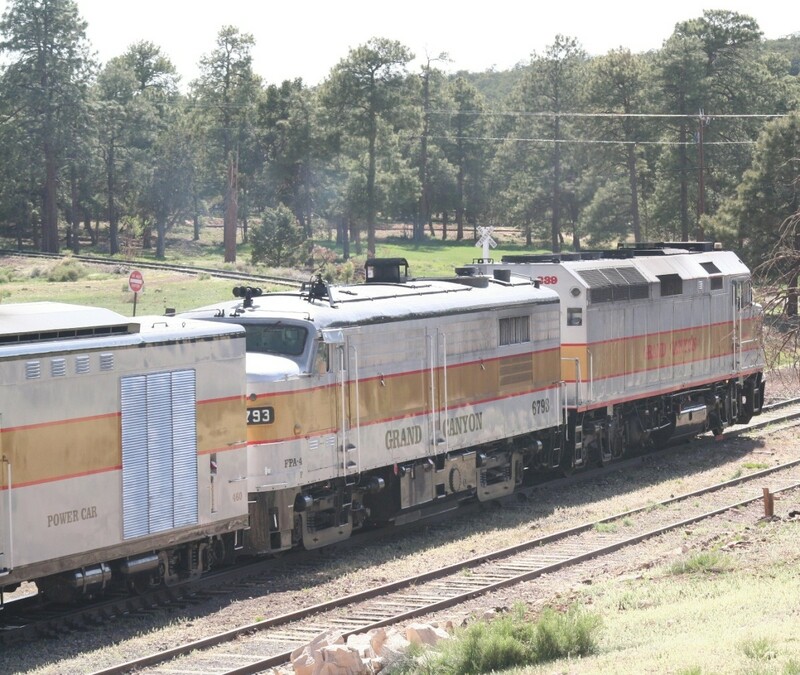 Had two scheduled arrivals per day at the South Rim, but as many as six special trains might also arrive at the Grand Canyon in one day. 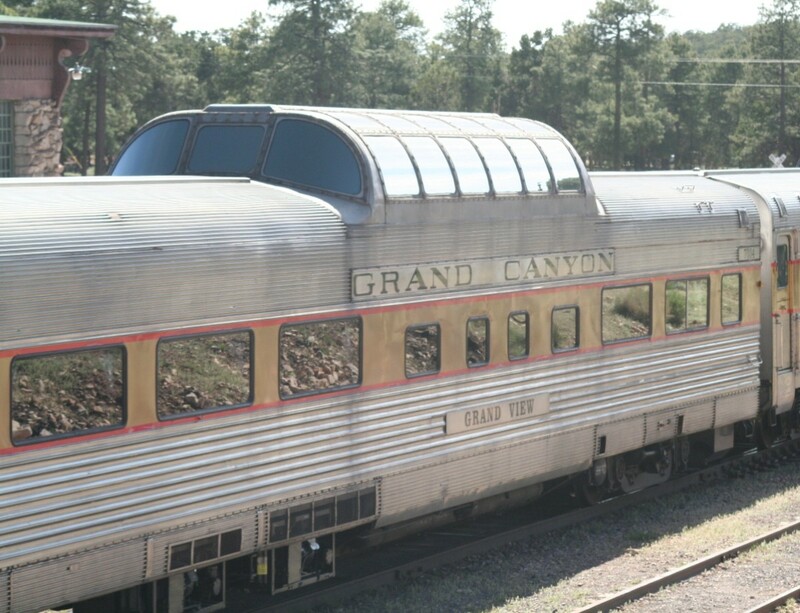 Notable passengers included President Theodore Roosevelt, President William Howard Taft, John Muir, President Franklin Delano Roosevelt, King Paul and Queen Fredericka of Greece, President Dwight David Eisenhower, Clark Gable, Candice Bergen, Jimmy Durante, Doris Day, Arizona Senator Barry Goldwater and Arizona Governor Rose Mofford. It was the preferred method of travel until the advent of the automobile. 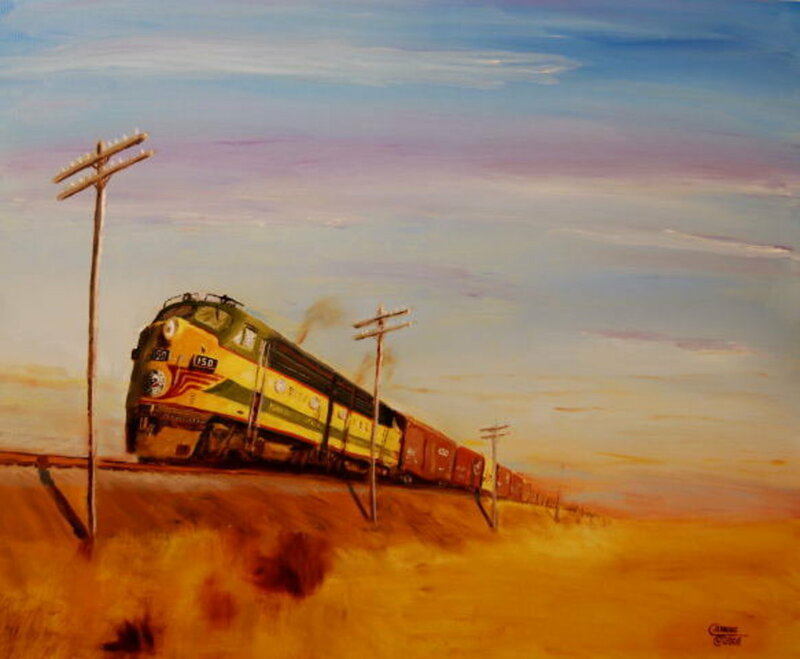 And as America fell in love with the automobile, the locomotive’s romantic wail faded like an Arizona sunset. The final rays of golden sunlight disappeared June 30, 1968 as Train No. 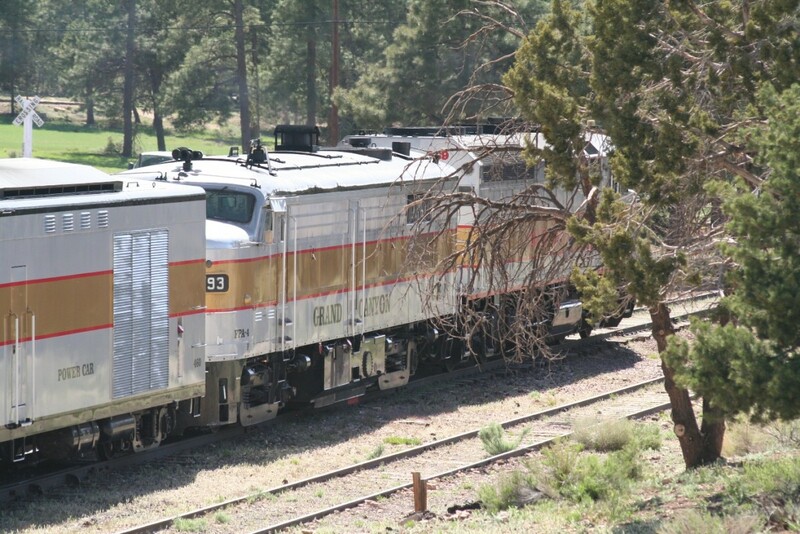 14, a diesel locomotive pulling only one baggage car and one coach car, left Grand Canyon Depot with just three people aboard. Beginning the 65-mile trek to Williams, the engineer gave the horn two short blasts heard only by those aboard and canyon wildlife. No one was present to send the train off, or to celebrate the contributions the Railway had made. As the last passenger train traveled out of sight, the tracks grew quiet and stayed that way for nearly 20 years. Point of Rocks at "The National Christmas Tree Display"
I would like to thank Jack from "The National Christmas Tree Railroad" for the photos and the great job he did decorating and setting up his Point of Rocks Replica. We would like to hear your comments or questions please feel free to email us at: info@eaglewingsironcraft.com . 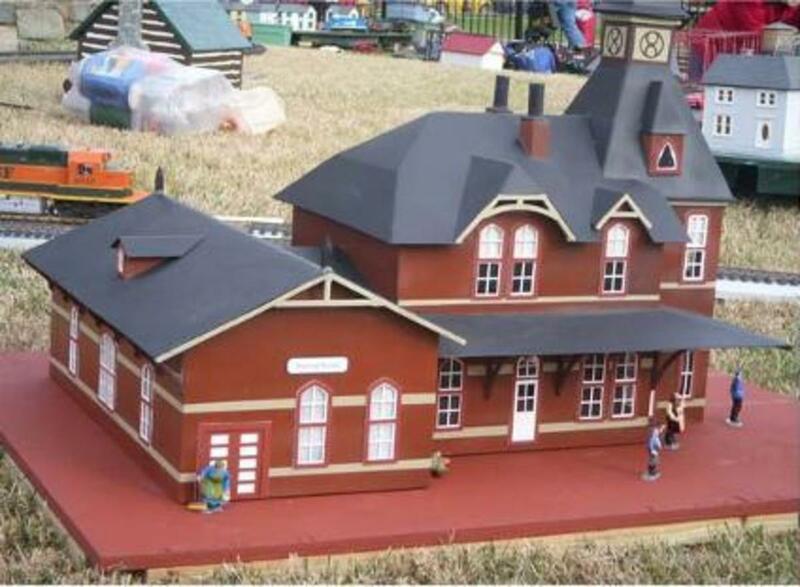 We also have other Eaglewings structures on display at this layout. We'll keep posting pictures as they become available. 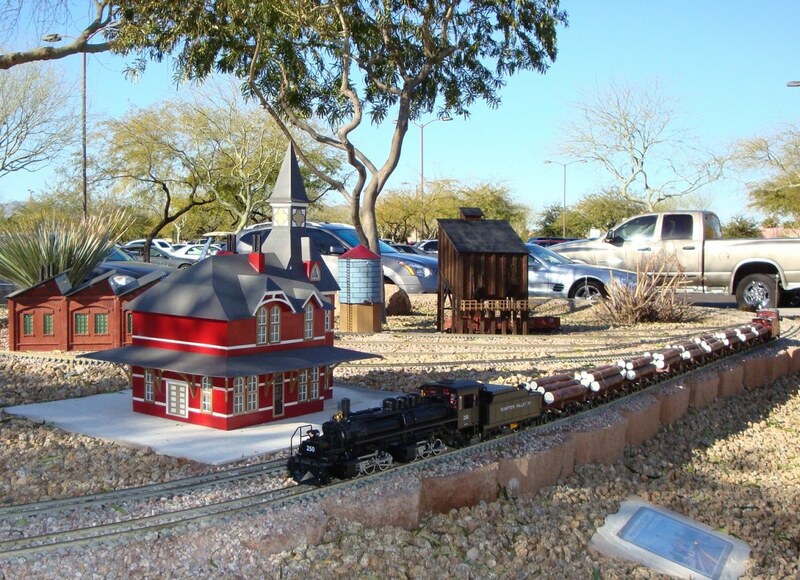 At the Grand Railroad Park, located between the Chaparral Center and the tennis courts, trains run on Thursday, Friday and Saturday from 9-11:00 a.m. However, members may run their trains at any time of the year, day or night. All homeowners in Sun City Grand are invited to join. 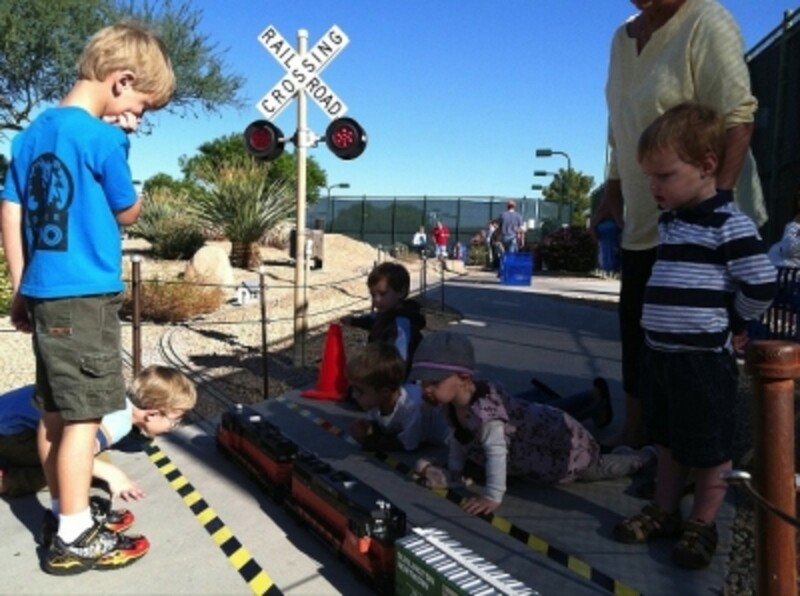 This great group has fun running trains for all ages. H M Smith. All rights reserved. It's the greatest toy train DVD adventure ever produced! No other one on the market is better! Visit www.lotsoftoytrains.com or call Toll-Free 888-300-3455 - This kids DVD video makes a great gift. Love your lens. My brother has a garden railroad in Indiana. It takes up his whole back yard. In July he had an open house and had 65 visitors attend. He even was written up in the local newspaper back there. I always enjoy seeing his latest additions when I go home for a visit. Actually, ANOTHER great evening -- there's just no way to express what delight you Railroaders give us when you do a night run. Part of the fun for us is seeing our friend Dave at work -- you make it come alive and personal. No kid with a train set ever looked happier than you do out there. Looking forward to the Christmas run!!! Always loved trains and everything to do with them. Will trains ever be a thing of the past? I don't think so. 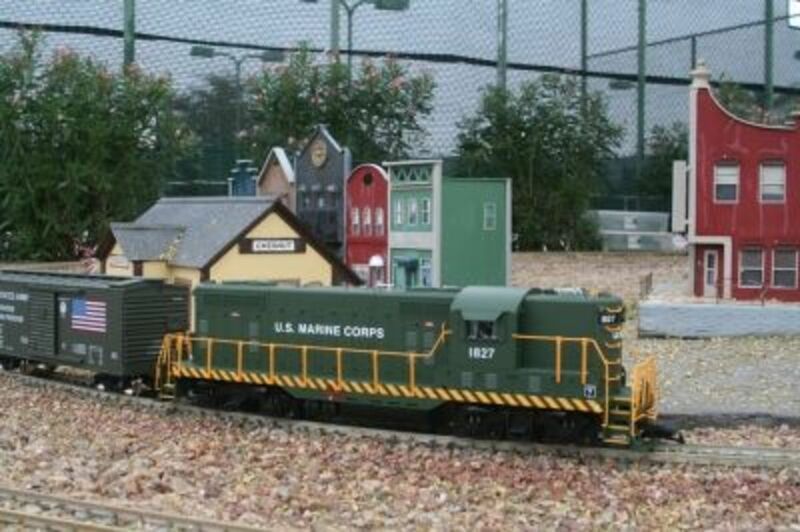 Your garden trains collection is a living proof. Love the trains. Wish I could put one in my backyard. Great lens! 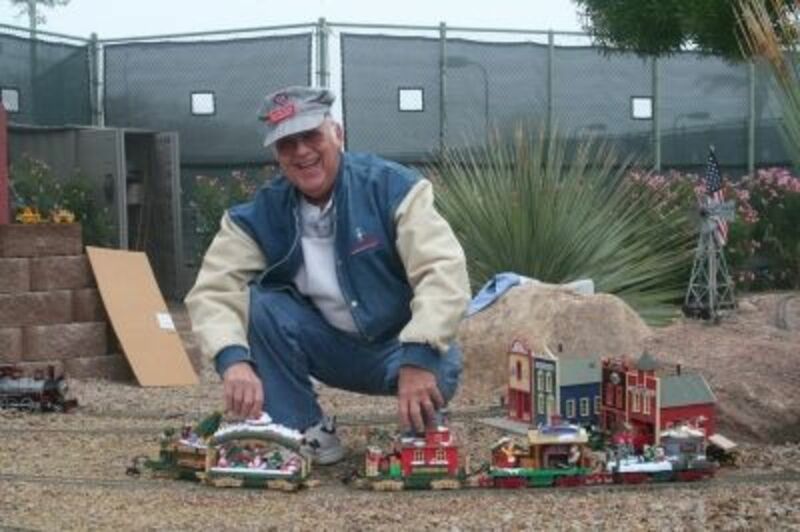 I love trains and I sure would love to visit the Miniatur Wonderland. What a treat to see that layout! Nice lens and many thumbs up! Great idea putting this all together. Very Nice! What a wonderful lens. I have been several times in the Miniatur Wonderland in Hamburg, Germany and it is awesome to see such an installation in real life. Fun lens! Looks like great fun! Great read, 5***** and favorited. Really well done lens. Nice photos and videos. Thanks for putting it all together. Awesome garden railroad, and great lens -- 5 stars from me! Thanks for visiting my lens on LGB Trains. We have a railroad something like this near me. It is called Hesston Steam Museum at http://www.hesston.org/events.html You can ride on a small train too. My son loved it when he went a few years ago. That is so cool! My husband has his old American Flyer's but he hasn't done anything with them. I'd love to see them set up on a track and running.